He prosecuted the Nazis at the Nuremberg Trials, but now, nearly 40 years after his death, Moses Kove is exacting another kind of price against Hitler’s henchmen. Some 100 artifacts from Kove’s personal collection, including many he brought back to the United States after he completed his prosecutorial assignment in Europe, will go on sale Monday, May 14 at J. Greenstein & Co.’s auction of Rare Antique and Artisan Judaica in Cedarhurst, L.I. 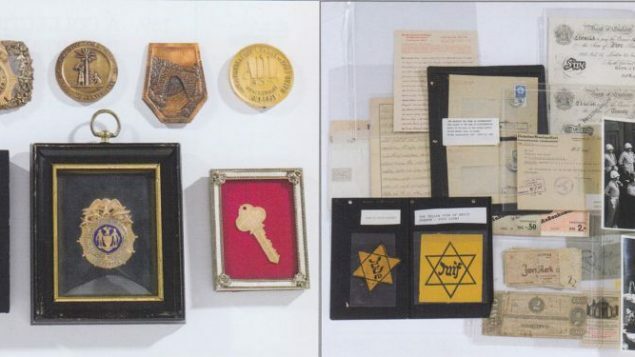 The collection — Lot 171 — includes original photographs from the trials of high-ranking Nazi officials, ghetto currency, Stars of David that Jews in Germany and France were forced to wear, a postcard sent from Terezin, an arrest document from Lodz, as well as photographs of Kove with David Ben-Gurion and Golda Meir. The collection spent the last 76 years in Kove’s closet on the Upper West Side and in a bank vault in New Jersey owned by his step-daughter Meridyth Mischel Webber, who is selling the items.